Israeli Life: Guess What’s Brewing? It’s a brisk winter morning on a hilltop in Gush Etzion. Inside a prefabricated hut, a middle-aged woman in a headscarf and ankle-length tunic is hunched over a giant pot, stirring rhythmically. 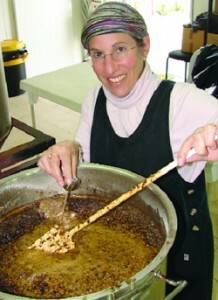 Susan Levine, a mother of three, looks as though she is preparing a megabatch of cholent. a But the American immigrant, who moved to this bloc of settlements southeast of Jerusalem five years ago, is actually engaged in a very different sort of cooking: She is brewing beer. “People are often surprised to discover that I’m a brewer,” says Levine, one of the founders of Lone Tree Brewing Company, a brewery situated near Kfar Etzion that produces about 900 bottles of beer a month. But Levine, 52, is one of a growing number of Israelis, among them quite a few American immigrants, who share a dream of turning Israel into the Promised Land of beer. Just as Israel went from being a desert devoid of noteworthy wines to a producer of prize-winning vintages over the last two decades, many observers believe the country is now entering the Age of Good Beer. “We are going through the same revolution that the wine industry underwent, with microbreweries opening up to fill the growing demand for craft brews,” says dining critic Sagi Cooper, who is president of the Israeli Beer Club. The very existence of such a “club”—which boasts 650 members and organizes competitions to promote quality beer—attests to the growing panache the drink has acquired in Israel. Until recently, Israeli beer was synonymous with Maccabee and Goldstar, commercial lagers produced for decades by Tempo, the country’s largest brewer and second-largest beverage company. Along with a couple of other brews produced by the company that also owns the national Coca-Cola franchise, these commercial varieties still account for the majority of beer consumed in the country. But this monolithic beerscape is changing. The big-name beers have been joined by some 20 microbreweries, which each produce 200 to 2,000 quarts a batch. Most have opened in the last five years, with 2010 being a particularly fruitful year. In addition, many smaller nanobreweries, like Lone Tree—which brews about 50 quarts a batch—are popping up from month to month. These new breweries are spread from the Negev to the north, where the acclaimed Golan Heights Winery recently entered the market with the Golan Brewery (which makes three varieties of beer using water from the mineral springs in the Golan). There are microbreweries in major cities—Tel Aviv, Jerusalem and Haifa—in rural communities like Kibbutz Ginegar (Salara Brewery) and Ein Hod (Art-Bar); in towns like Beit Shemesh (Laughing Buddha); and, most recently, in a settlement, too. All aim for a high-quality, fresh product. Some aspire to a better version of an established genre—a perfect India Pale Ale, or the ultimate dark stout. Others have set their sights on producing distinctly Israeli-flavored specialty beers using local ingredients like pomegranates, dates or rosemary. Ma’ale Adumim’s Canaan Brewery makes what could well be the world’s only kimmel beer, using caraway seeds, while Negev Brewery in Kiryat Gat has a passion fruit ale. 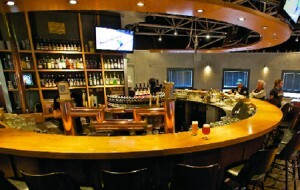 Golan Brewery’s pub and restaurant. Courtesy of Golan Brewery. The proliferation of microbreweries is just one facet of Israelis’ growing enchantment with beer. The last few years have seen a plethora of beer festivals that draw thousands to taste the latest brews. New companies sell home kits to amateur brewers, offer beermaking workshops and hold contests that recruit international panels to judge the brews. “It’s part of a world trend, and Israel is just one step behind other countries,” says Gad Deviri, founder of Beer-D, which provides equipment, ingredients and know-how to aspiring beermakers in Israel. Deviri estimates that in the last couple of years about 800 Israelis, mostly men, have completed his five-session beermaking workshop, which costs about $300. A few have gone on to open their own microbreweries, though most enroll just for fun. On a warm spring evening in May 2011, about 1,000 people converged on a park in a high-tech neighborhood of Tel Aviv to sample some of the 80 beers and indulge in a variety of workshops—like matching beer and chocolate—at one of the city’s many beer festivals. This is not a mob of rowdy teenagers looking to get smashed. The boutique beer subculture draws a discerning crowd—people like Tel Aviv lawyer Uri Ganor, 55, who came with his companion, a doctor named Olga, for a pleasant night out. “It’s an enjoyable way to meet people and sample the latest beers,” says Ganor. The majority of Israelis are still modest drinkers. They down an average of 15 quarts of beer per person annually, compared to 105 quarts for Americans and a whopping 170 quarts for the world leaders, the Czechs. The Israeli figure is an increase over past years and is expected to continue to rise. Brewmaster Jeremy Welfeld. Courtesy of Jem’s Beer Factory. The industry is full of educated professionals who left lucrative careers to indulge a passion. Deviri—not a microbrewer himself—spent decades as a certified public accountant before launching Beer-D out of a warehouse in south Tel Aviv with his wife, Galit, a former social worker, who recently opened a pub of her own. “Between us we have four advanced degrees,” she says, laughing. But the only diploma on the wall is the “Master of Beer Styles” from the Siebel Institute of Technology in Chicago. To hear David Cohen, founder of the Dancing Camel Brewing Company, rave about his special holiday beers is to see a man intoxicated with what he does. “We had one bottle that had been in cold storage for a couple of years. When we took it out and popped it open, it just exploded with the aroma of etrogim—as though everyone in synagogue had opened their etrog boxes at the same time,” says Cohen of ’Trog Wit, the special wheat beer brewed with etrogs that he makes for Sukkot, a variation on a standard Belgian beer made with oranges. Cohen aspires “to give the beer a distinctly Israeli character—a variation on a theme using something local.” His repertoire includes Gordon Beach Blonde, a light summer ale infused with rosemary, mint, lemon and thyme. A former black-hatted yeshiva boy from Brooklyn, Cohen, 50, left his successful accounting practice in New York to make aliya in 2003, establish a brewery and open Dancing Camel, which is possibly the only glatt kosher pub in Tel Aviv. 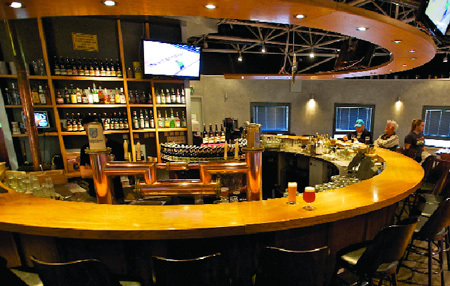 His microbrewery (of the same name), which opened in 2005, is one of the first in Israel. The name, he said, is from a legend he heard about a 16th-century rabbi whose life was saved by a ring of dancing camels. Lone Tree’s Levine, one of the few women brewers in Israel, was a fundraiser who headed the Washington chapter of Hadassah prior to making aliya with her husband and their three teenagers in 2007. Today, she runs the brewery in a clearing in the Gush Etzion forest together with her husband, Yochanan, a tax lawyer, and their neighbors David and Myriam Shire. “We come from places where many high-quality craft beers are available, and we felt that this was something we could contribute to Israel,” says Levine, who used to brew for fun in the United States. Lone Tree is a reference to an ancient oak tree left intact after the Etzion settlement bloc was razed by the Jordanians between 1949 and 1967. The name evokes the painful and bloody history of Gush Etzion, where over 150 Jews were killed in two massacres in 1948. In that respect, it seems surprising that Levine and her partners chose that tree as the logo for their beer. Levine spends a significant amount of time giving tours of the brewery, often to Tel Avivians and other Israelis who have never set foot in a settlement before. She relishes the chance to cast her home in a positive light. “We can offer an experience combining beer and a love of Eretz Yisrael,” she gushes. “Had we called the brewery something like ‘Susie’s Natural Beers,’ I would never get to tell the story of Gush Etzion.” Levine hopes that the brewery—which produces seven varieties of beer—will eventually provide the main source of income for the two families. One of the most popular brew houses in the country is Jem’s Beer Factory, which opened in Petah Tikva on Yom Ha’atzmaut 2009. The combination brewery-kosher restaurant-pub is the culmination of 20 years of scheming and dreaming. A former Washington caterer who ran many events for the Clinton administration, Welfeld moved to Israel, for the second time, in 1999 but began preparing himself to be a beermeister a decade earlier through various studies and apprenticeships. He met his business partner, Daniel Alon, at the Carlebach minyan in their hometown, Ra’anana. Jem’s brews two lagers and four ales. The outgoing Welfeld, wearing a tropical-style shirt and sunny smile, says he got into this line of work “to interact with as many Israelis as possible.” Indeed, the brewpub, which seats about 150, is hopping on most nights. Patrons of all ages crowd around the bar or at a few dozen wooden tables inside the converted warehouse; its most distinct feature, a group of huge stainless steel vats where the beer is made, provides the perfect backdrop for ordering drafts. Downing a pint in the local pub is something you expect from the Irish or the Scots, but the Jews? Beer in a Jewish state seems, at first glance, about as natural as a suit and tie on kibbutz. Alas, that turns out to be a myopic view based only on recent history when drinking was indeed predominantly a pastime of British Mandatory soldiers rather than local inhabitants in the Jewish Yishuv. But beer actually has deep roots in the region, and in Jewish tradition. Considered the oldest alcoholic drink in the world, beer was first produced in the Middle East over 15,000 years ago when humans traded in a nomadic lifestyle for farming. They began brewing in the wake of the domestication of wheat and barley, and Sumer, Babylon, Egypt and Israel became the brewing centers of the ancient world. The Sumerians worshipped a goddess of beer, Ninkasi, while in ancient Egypt the drink was a gift to Pharoahs and gods as well as a medicine. In Israel, 3,000 year old beer mugs were found in a dig at Tel Isdar in the Negev. Archeologists say that the discovery indicates that beer drinking in Israel dates back to the days of King Saul and King David. “The ancient brewer was held in high esteem like a priest or witchdoctor,” notes David Cohen, Dancing Camel Brewery founder, with perhaps a touch of envy. The Talmud describes several esteemed rabbis who were also brewers, notably the 4th century scholar and businessman Rabbi Papa, who made beer from dates. Eventually Europe became the center of beer-making, which was, for unknown reasons, almost abandoned in the Middle East, says Gad Deviri of Beer-D. When Europeans returned to the region in the 1900s so did beer, with the establishment of the Palestine Brewery in 1934 in Rishon LeZion. Today’s new beer makers say they are reviving an ancient tradition—some, literally. Cohen, who draws inspiration from his Talmudic muse, Rabbi Papa, plans to produce a beer in his name called Old Papa. Galit Deviri and her business partner Anat Heinreich call their new pub in south Tel Aviv the Ninkasi Public House. “It’s only natural that two women working in the beer business would name their pub after the Godess of beer,” says Deviri, referring to the Sumerian deity.